Who do I turn for a solar energy system? We left our last blog with you in the perfect position for solar. You’ve done your research; you know your eligible. Right now, you’re just left with the question: “Who do I turn to for a solar energy system?”. 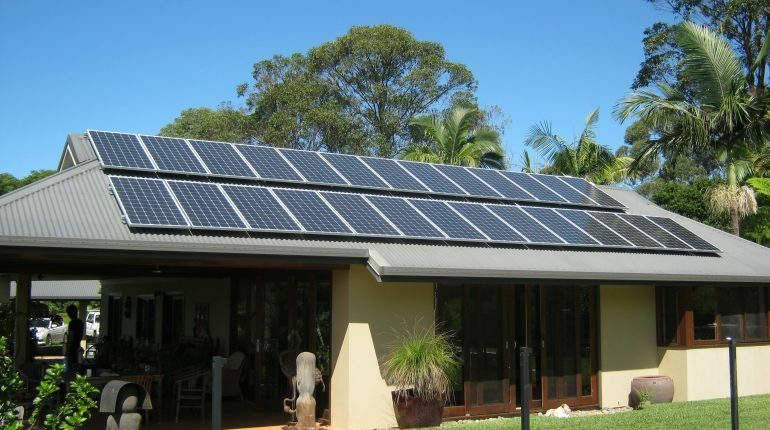 It’s important to find the right solar company to design and install your system. This might seem easy, but with a lot of competition within the industry, it can be difficult to find the right choice for you. So where’s the best place to start looking? Let’s find out! Currently the solar industry is regulated by the Clean Energy Council. They lead the way in initiatives designed to protect consumers (you) when purchasing a solar system. Right now, there is a voluntary initiative called the CEC Approved Retailer Code of Conduct. Solar energy companies can sign onto this to demonstrate to customers their commitment to delivering outstanding service and comprehensive warranty. Many solar energy companies will also look to register as official service partners to solar product manufacturers. This can mean if you choose to install these products, you are eligible for a longer warranty (e.g., REC solar professionals). Businesses who want to provide the best protection for their customers will look to register as service partners for leading products. Another good accreditation to look for is CEC accredited installer. This accreditation is awarded to individuals who commit themselves to extensive training surrounding the design, and installation, of grid-connect and stand-alone PV systems. Now that you know this, you might think “where on earth will I find that?”. Well, you’re looking at a company that holds all those accreditations! Omega Solar+Batteries is a CEC Approved Retailer, and one of our directors is a CEC Approved Installer (thanks Greg!). We are also an official Fronius Service Partner, REC solar professional, certified Tesla installer and Sonnen partner. We provide our customers with the best possible solar system within their budget, with a dedicated service platform during the lifetime of their system. The Australian Solar industry is a multi-billion-dollar sector. This means that there are many solar companies vying for your business. This can be both an advantage and disadvantage. It is important to know how to choose a reputable solar company. Solar can’t be compromised, so keeping you and your family safe by choosing a safe and secure solar installer is an important part of your solar journey. Now that you’ve chosen the best installer for you, what size system should you choose? There are a lot of factors to consider when determining the size of your system. Such as budget, amount of electricity you wish to produce, the amount of unshaded area that is available and roof space to fit your panels. Our advice is to invest in a system size that will match your household consumption. This would see you get the best possible return on investment for price. However, our team of qualified, experienced and certified professionals will perform an in-depth site inspection to determine the best approach. They’ll also answer any questions or concerns you may have and design a system that will best suit your household. You’ve been given advice on the best system for you. Excellent! If you’re happy with the design we provide you, we can finalise your contract and payment method. Once this is all done and dusted, your installation will be booked at a time that best suits you, and you will receive confirmation promptly. The installation shouldn’t take longer than one day to complete. During installation, our installers will need to access your roof internally for approximately 30 minutes. We will provide you with all the necessary documentation you require upon the completion of installation and one of our solar technicians will complete a system handover. This will involve receiving the system’s user manual, warranty explanation and a thorough run down of the safe shutdown procedure. Omega Solar+Batteries will organize your system connection with the grid provider. This includes preparing and submitting all necessary documentation that is required by your electricity retailer. Your electricity retailer will then perform a new meter installation (so that you can send electricity to the grid) and connection to the network. Once again, if you’re still with me this far… CONGRATULATIONS! You are now the owner of a brand-new solar system and you are currently slashing your electricity bill! You might think this is where your journey with solar ends, however there is still one important step to cover. Ongoing service and support! Tune in to our next blog where we go over the correct servicing steps you need to be taking with your solar system.